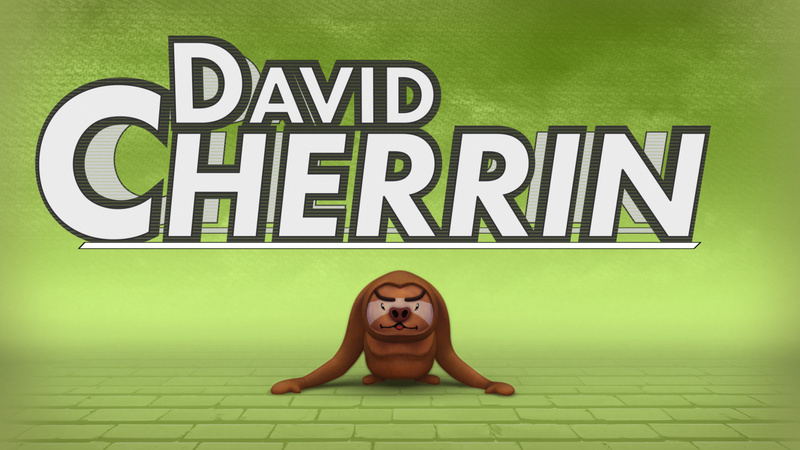 Ident that I’m planning to use for my Showreel for the student expo in 2 weeks. 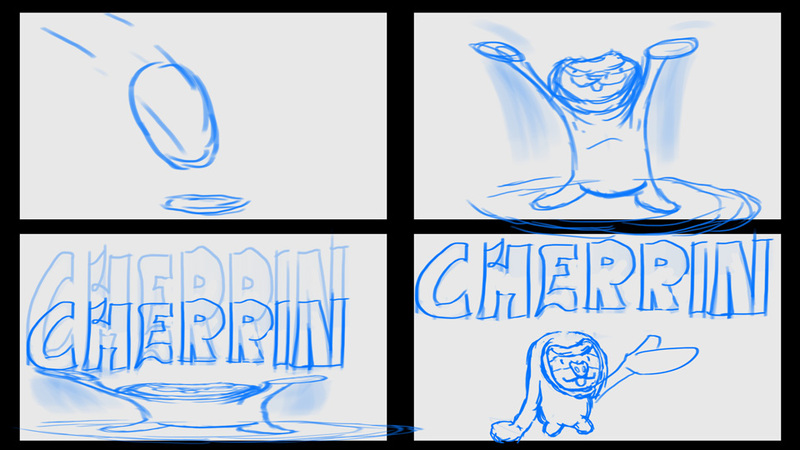 I wanted some sort of fun creature to come into the scene and present my name in an interesting way. 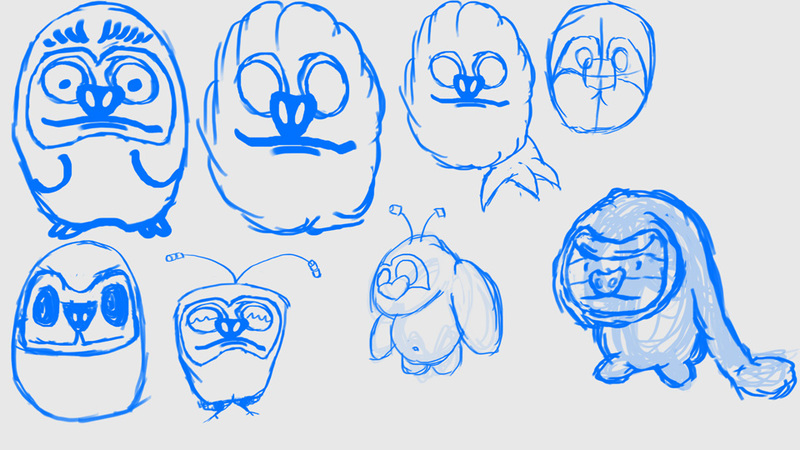 These are some of the designs I came up with, I end up going for the bottom right one considering its more appealing and the long arms could make animating it interesting. 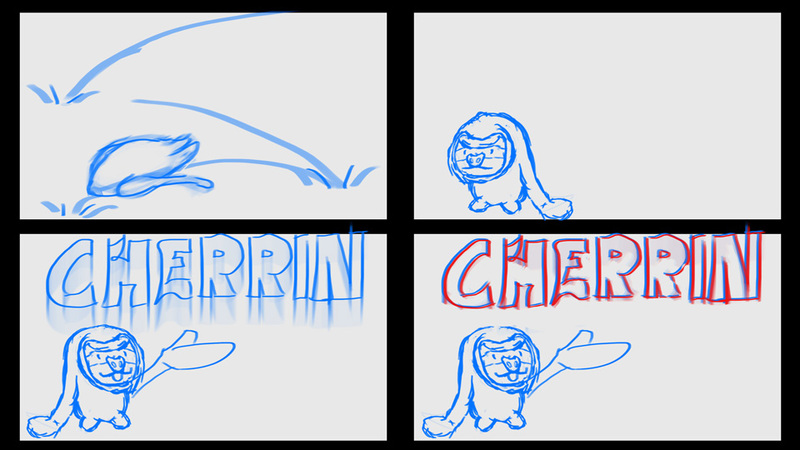 For the storyboard i kinda went with a mix of both concepts of him bouncing into the scene and then catching my name instead of presenting it. 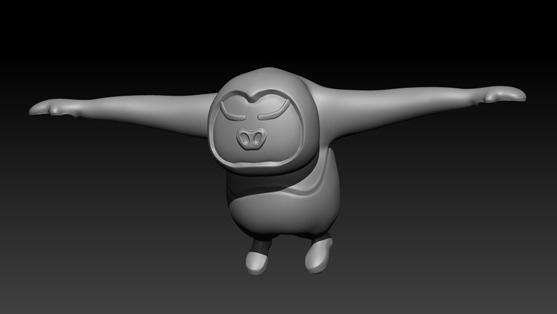 He was then quickly sculpted in zbrush and then retopo in maya. For how simple he was the process took less than a day. Texture was pretty much done in mudbox and photoshop keeping it simple. 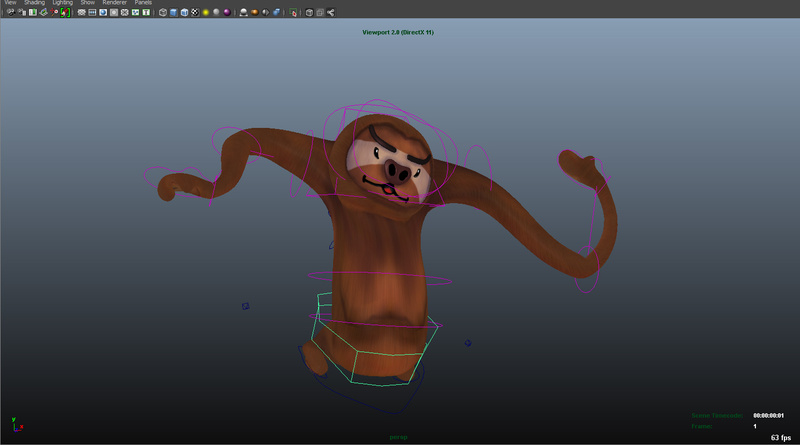 The Rigging took a bit of time because i wanted to implement stretch and squash to my rigs. I used spline IK for the torso and for each part of the arm, while hooking up the arm controls into an FK like fashion and to be able to translate the controls to stretch and squash the arms. 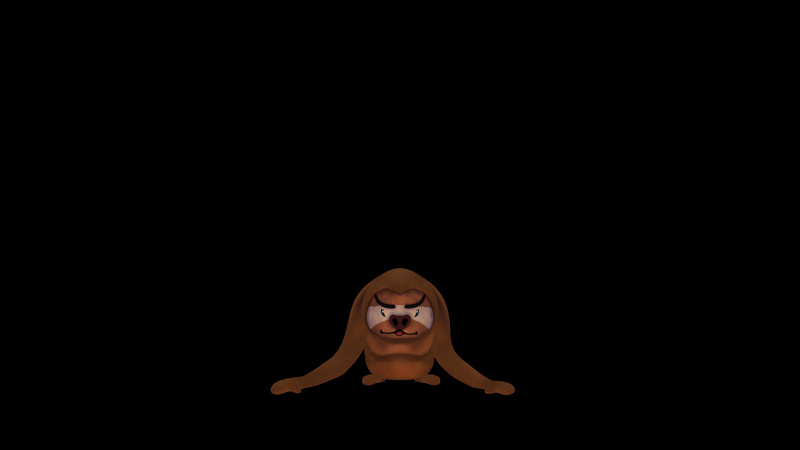 When it came to animating the sloth. He was pretty simple to do, thanks to motion trails. Being up to judge how far and how fast he should bounce around made it a lot easier. Then I used a box to animate the signs position into the scene which i convert to a locator null with the camera and import them into after effects for later use. I then render him out just by himself with no lights and Texture on self illuminate so its all flat but i done an AO pass to go with it. Rendering only took 3 hrs for 275 frames. 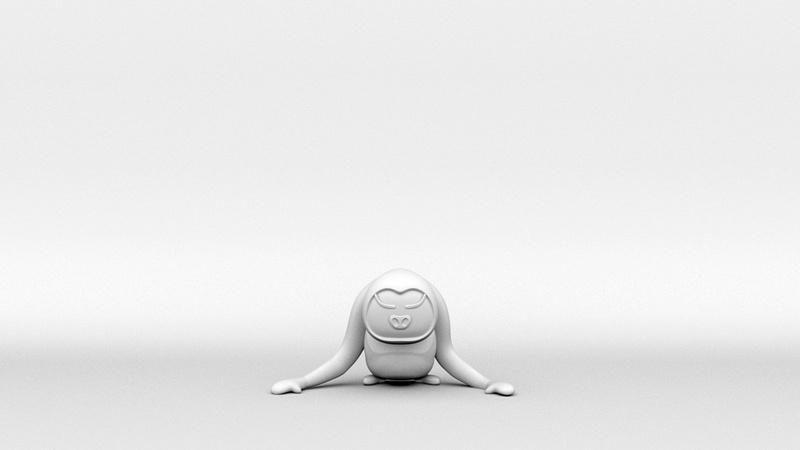 I brought him into after effects and used the AO pass to light the scene by using it to make the shadows and even the highlights on the sloth. I made the backdrop with flat cards in Aftereffects after i brought the animated camera and the nulls straight from maya. Using the Camera and locators from Maya I made the Title in after effects and just parent it to the null.